Hello there! My name is Kyle Nichols and among my friends and family, I am known as the true Disney Vacation Nerd. The very first picture of me at Walt Disney World was on Main Street USA before I was born in my mother’s belly. I have been returning almost every year since thanks to a Dad who’s just a big of a Disney World nerd as I am. I have since worked at Disney World in college, I proposed to my wife there, we honeymooned there, and are now Disney Vacation Club members. I am often asked to explain my love for Disney World and for me the answer is the memories. Our family has some of the most treasured photos and memories from our family trips to Disney World that we will cherish forever. 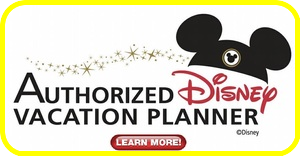 As a Authorized Disney Vacation Planner, I want to help you and your family make those memories as well. As a past Disney Cast Member and having vacationed there almost every year of my life, I have intimate knowledge of the parks and resorts. 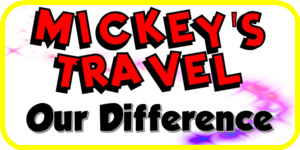 Outside of taking a trip to Disney with my family, there is nothing I love doing more than helping people plan a trip and then hearing about their experiences when they return. I cannot wait to get started in helping you plan your next trip! The best part is it’s 100% free!!! I look forward to planning all of the special details and magical experiences for you and your family. Favorite Disney Attraction Soarin. This is the type of ride Walt Disney would want in his parks. A ride families could experience together and talk about it long after their vacation ends. . Favorite Disney Character Peter Pan because who wants to grow up?. Favorite Disney Movie The Lion King. The music, the story, the animation, it’s the best in my book.